I’m trying not to feel like a failure. I had big plans for days 6 & 7, but I just crashed – day 6 I was exhausted & could barely keep my eyes open all day, day 7 I had a massive headache all afternoon. Yuck. I did make some yummy homemade salsa though – no photos. Today, I had fun with my 4-year-old son. We got some canvas boards & made some creations using oil pastels. I drew a tree. When I was finished, Jude wanted to add to it. It was actually kind of hard for me to let him, but I’m glad I did. He chose purple because it’s my favourite colour. 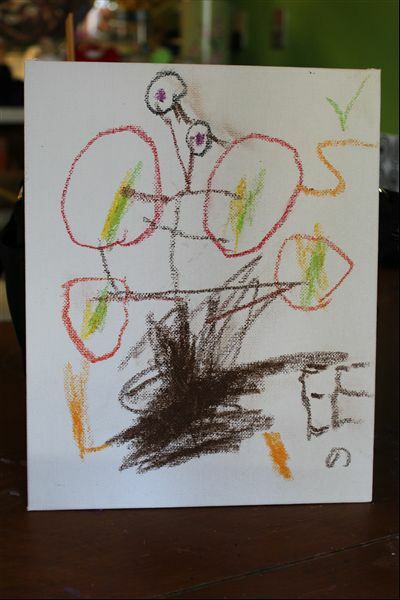 Jude also drew his own tree. I think it’s fantastic. 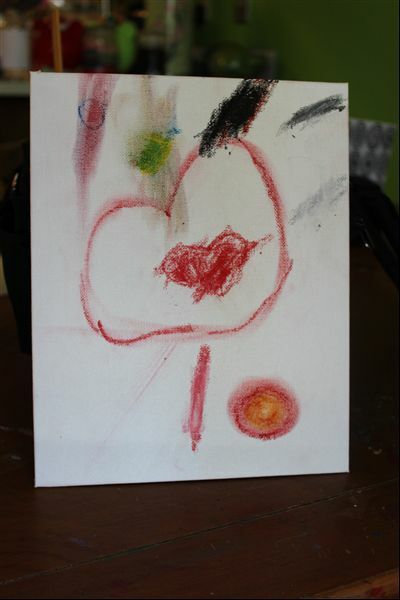 Jude then wanted to draw a red heart for me because it means love – aw – love my sweet boy. 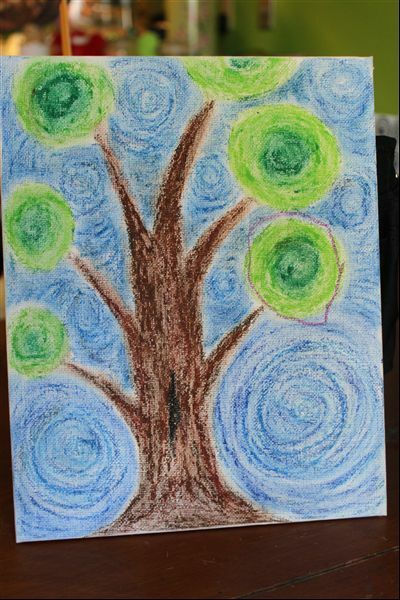 Then we experimented with mixing colours – oil pastels lend themselves to that. We made orange, green, purple, grey & pink. Fun and educational! Categories: Creativity | Tags: 30 Days of Creativity | Permalink. I think they’re fantastic. I also think, being a mom, even a supermom, you’re allowed to miss a day, or three, and not consider yourself a failure. I think you are pretty fantastic and inspiring for even going for it!! Thank you Katrina. I need the encouragement! I love your tree – makes me want to get some pastels. Go for it! Pastels are always good to have around. When in doubt- go for a tree. Trees always bring me back to myself when I’m feeling lost. 🙂 I think you’re amazing, too!